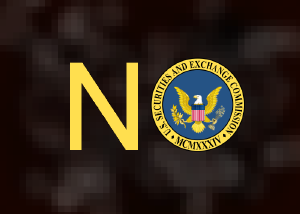 The Council of Institutional Investors (CII) filed a rulemaking petition with the Securities and Exchange Commission (SEC) asking that it amend its rules for contested elections so that “shareholders can vote for any combination of management and dissident nominees they wish to represent them.” I hope readers will join with me in sending e-mails in support of the petition to the SEC. Instructions on how to do so can be found at the bottom of this post. In our petition, we also highlight a secondary concern. When shareowners utilizing the ProxyVote platform of Broadridge vote at least one item and leave others blank, the subsequent screen warns them that their blank votes well be voted as recommended by the soliciting committee. This provides an opportunity to the shareowner to change their blank vote before final submission, if they don’t want it to be voted as recommended. Again, please submit comments on the petition to [email protected] with File 4-583 in the subject line.